Bob Hoye – Stock Markets, Crude Oil. Danielle Park – Corruption, Markets. 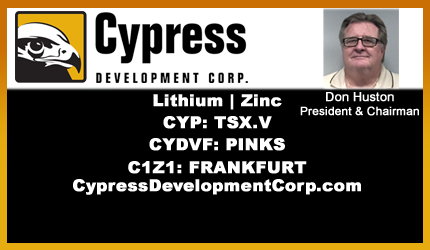 Larry Reaugh President & CEO of American Manganese Inc. on Company Showcase – American Manganese CEO Reports from Pilot Plant. Kemetco CEO Norm Chow discusses pilot plant progress. 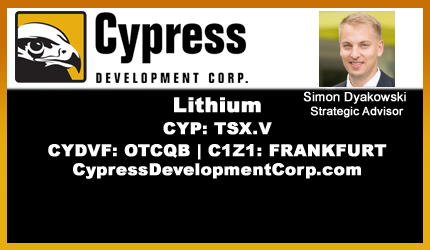 Read S&P Global Platts Article – “EV Battery Lifecycles to be Only Five Years: Berenburg Thematics Analyst“. 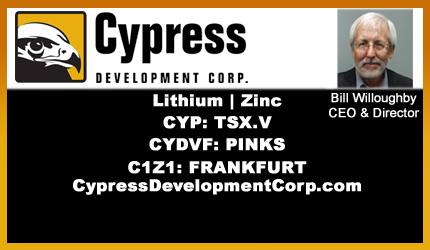 Read The Drive Article – “Cobalt’s “Perfect Storm” Rattles Electric Car Supply Chain“. Check out AMY’s Financing on Stockhouse DealRoom. Watch AMY’s Video – “Our Revolutionary Lithium-ion Battery Recycling Technology”. 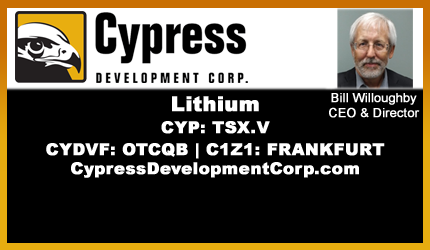 Bill Willoughby CEO & Director of Cypress Development Corp. on Company Showcase – CEO Discusses Positive Metallurgy for Clayton Valley Lithium Project. Advancing Towards a Prefeasibility Study for Nevada Project. 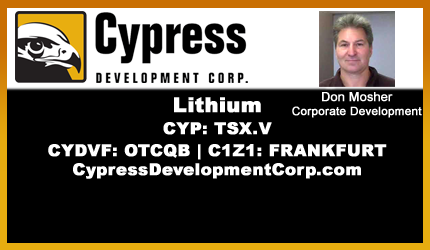 Read the Latest News.View Corporate Presentation. 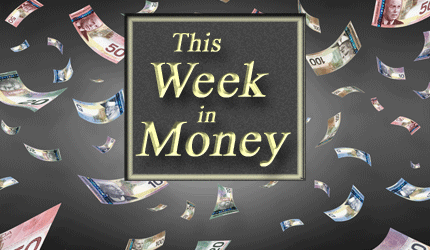 Ross Clark – Silver’s 31 Month Low. Marijuana Stocks. Marc Faber – Only a Couple Stocks Keeping the US Stock Market Afloat. Tariff Wars and the World Economy. James Corbett – India, China, Cryptocurrencies. Ed Steer – Precious Metals. Could Silver Climb Like Cryptos? 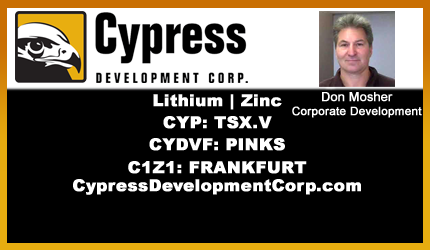 Larry Reaugh President & CEO of American Manganese on Company Showcase – Samsung Mentions American Manganese and Umicore in Bloomberg. AMY closes first tranche of Private Placement. Read the Latest News.